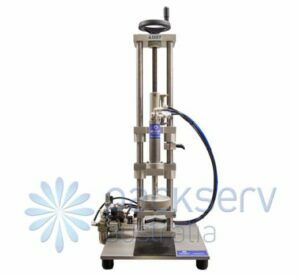 The Auto Jr is designed for packagers who require a semi-automatic sealing process with low production volumes. 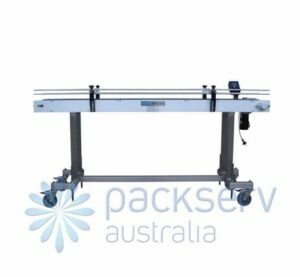 The table top Auto Jr is compact and ideal for production environments where a bottle conveyor is not practical. Built-in guides ensure operators properly line-up containers for sealing. A digital timer lets the operator know when the sealing process is completed. 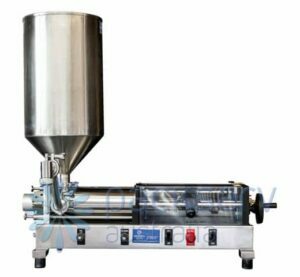 The Enercon Auto Jr is a robust portable and very reliable induction sealing machine. Being a bench top machine it can be easily moved around. Induction Sealing has been around since the mid 60's and is not new or experimental technology by any stretch, it is a very effective and versatile solution to maintaining a sterile or sealed environment in which products can be contained far beyond their normal shelf life due to the ability of induction sealing keeping out any unwanted germs and bacteria's and keeping in all the freshness and goodness of the product. This technology has advanced a great distance since its inception both in the size of the machinery and the quality of the work that is able to be achieved. Induction sealing has many applications, in areas such as food, pharmaceutical, cosmetic, health care, veterinary, automotive and industrial. Products ranging from cooking oil, tablets, milk, sauce, drinks, cheese, detergents, dried goods like nuts and chocolate, spreads and condiments and sweets. Induction Sealing is basically a non contact heating process the it consists of a small metallic or foil disc being placed in between the inside of the cap and top of the bottle, some seals can even be preprinted with information or a company logo prior to insertion inside the cap. Your container supplier will be best able to advise you on options for containers, caps, seals and printing. 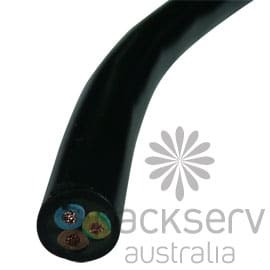 The process is predominantly in two parts, supply of power to the machine, and the transfer of that power to the sealing head where it creates an electromagnetic field which heats the foil which melts the polymer coating welding it to the top of the container. In the two piece induction seal it would also melt the wax layer above which is absorbed into the pulp or cardboard layer releasing the foil so you can remove the cap without upsetting the foil. There are different types of Induction seal, namely two piece and one piece, two piece is where a secondary seal is left inside the cap after the induction seal has been applied, enabling a soft surface with which to seal the container after opening, the one piece seal does not leave anything behind and so relies on the marriage of the cap and bottle to create their own seal if required after opening. 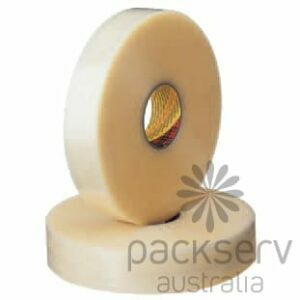 There are also different sealing heads to suit different sized and shaped containers, most commonly flat and tunnel shaped. The tunnel shape concentrates the current around the sides and above the cap creating a more uniformed seal, the flat head disperses the magnetic field more widely to suit larger areas. The tunnel shape would also be more suited to taller caps such as a witches hat tall shape. Another problem may be with the wadding itself, during the capping process the foil may not be pressed up against the lip of the container, the wadding may not be flat, or the rim of the container may not be smooth. If you find that some of your containers are sealed and some are not it might indicate that the induction sealer is actually working properly but the cap tightener is not, we recommend using our range of conveyors and auto cap tighteners with these machines to achieve the required amount of torque on your cap. 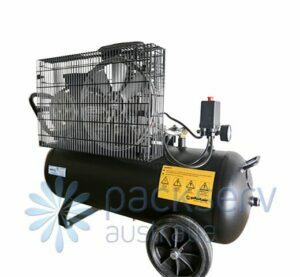 Note: Enercon systems are designed to operate in a maximum ambient temperature of 40°C (104°F) @ 80% relative humidity, non-condensing. In the case of liquid packaging manufacturers may be concerned that if there is product on the lip of the container the induction seal may be impaired, in most cases the torque applied by the cap tightener should squeeze out any product or the heat produced by the sealer should heat up the foil to a temperature that will eliminate anything remaining. Induction sealing is the most effective when sealing a plastic lid with a plastic bottle, for sealing glass the container may need to be treated before use. In some cases it may be possible to seal containers with metal lids though it is not normally recommended as the lid or cap will be heated the same way the foil is and may pose a danger to workers who might touch or pick up the container. The cap may also melt the top of the container if its plastic. 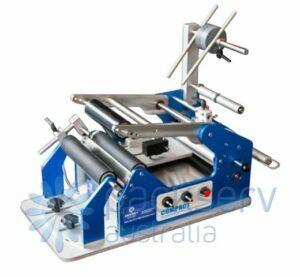 The process used in manufacturing would most commonly be to fill the container, then tighten the cap with the foil wad inside and then pass under the induction sealer, and then onto any other processes such as ink jet coding, labelling and packing. 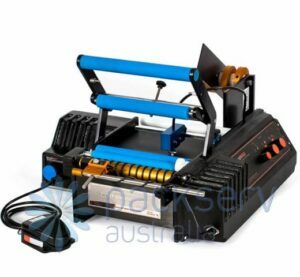 Commonly these machines are referred to as induction sealers, however they are more accurately induction heaters as the only process they perform is to heat the foil, if the foil wad is not pressed up against the lip of the container the sealing process will not take place and your container may leak, it is as crucial that the cap is tightened up properly as it is passed under the induction head. When filling hot products normally a suitable seal is achieved by the product itself when it cools down, like the button top tamper tell lids which creates a sterile environment in a the vacuum which is created from cooling.